URBANA, Ill. (WAND) – A family is suing a nursing home after a woman’s summer death. 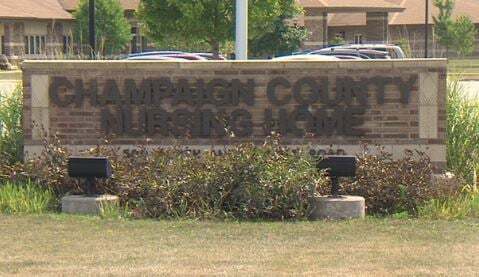 Workers at the Champaign County Nursing Home discovered 78-year-old Sonya Kington’s body on June 6, 2017 in an outdoor courtyard. Video surveillance at the facility showed Kington entering the courtyard area before 2 p.m., when the temperature stood at 87 degrees. Investigators with the Illinois Department of Public Health say workers didn’t find Kington until after 5 p.m., when she had already died. Kington’s skin was hot and vomit showed on the side of her mouth. Champaign County Coroner Duane Northrup found hyperthermia caused her death and ruled it accidental. In response, the nursing home fired two of its workers.